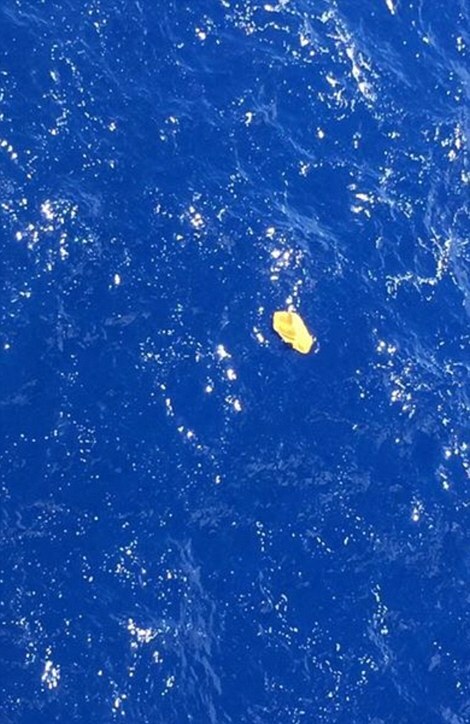 These images claim to show debris from the doomed EgyptAir plane that crashed into the Mediterranean with 66 people on board in what experts claim was almost certainly a terrorist attack. 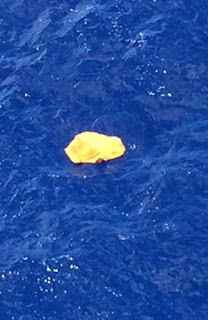 The pictures emerged as search vessels reported seeing large objects floating in the sea around 230 miles south of the Greek islands of Crete and Karpathos. Flight MS804 was travelling from Paris to Cairo when it vanished from radar ten miles into Egyptian airspace at 00.30am GMT without making a distress call. Greek defence minister Panos Kammenos said the Airbus A320 made 'sudden swerves' in mid-air, lurching 90 degrees to the left then 360 degrees to the right. 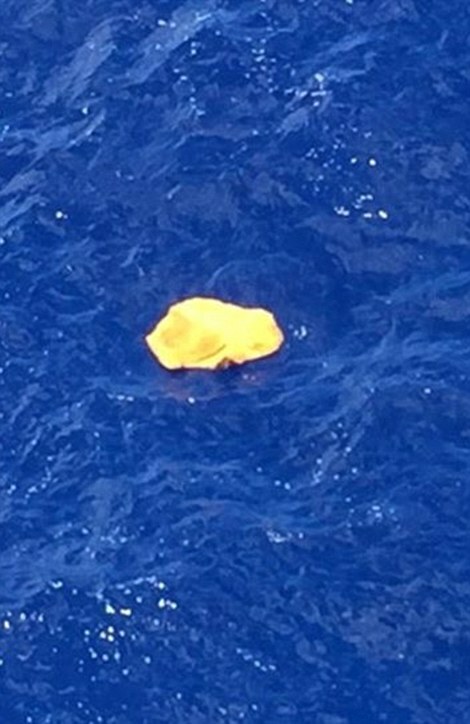 It then dropped from 37,000 feet to 15,000ft before the signal was lost at around 10,000 feet. The revelation came as security experts, ministers and former air accident investigators said all the evidence currently pointed to the plane being targeted in a terrorist attack. The 56 passengers on board included one Briton, 30 Egyptians, 15 French, one Belgian, one Iraqi, one Kuwaiti, one Saudi Arabian, one Chadian, one Portuguese, one Algerian and one Canadian. There were 10 crew members including three security guards. The British national is believed to be a man in his 40s from Carmarthen in south Wales.